"Thank God For John Muir" Oran Mor, Glasgow. "A fantastically energetic and eloquent piece of writing." - Bruce Young, Head of B.B.C. Scotland Drama. "Miners' Gala" Musical with a cast of twenty. Tour of East Lothian. "Summerlee Mural" Script for inaugural ceremony. "The Mother of All Burns." Lennoxlove House. Grant from East Lothian Council. "Colonel Gardiner - Vice or Virtue" Homecoming and Battle re-enactment performances in Prestonpans. "The Battle of Pots and Pans." Tour of East Lothian Kirks and Edinburgh Festival Fringe. "Burns Supper" Performed whole or in part at one hundred and twenty-seven schools in Scotland. "Under the Weather" Commissioned by Scottish Arts Council. Negotiations currently in progress for a production at the Tron Theatre, Glasgow. "I Confess." Arches Theatre, Glasgow. "Clever Stuff" Commission from Dutch Arts Council. "Taking on the System" Commissioned from the Lottery Fund. Presented Pittenweem Festival and Edinburgh Festival (2004). "Fantastic writing and acting." - Edinburgh Festival Fringe online. "Playing a Blinder." Broadcast on BBC Radio 4, New Year's Day. Subsequent productions at Hibernian Football Club 2004, 2005 as part of the Leith Festival. "A charming black farce, reminiscent of a vintage Ealing Comedy." - Scotland on Sunday. "The script balances total absurdity with realistic improvisation to clenching effect." - Guardian. "Wanted Dead or Alive" Edinburgh Festival 2002, 2003, 2004. Arundel Festival. 2002, 2003. Arches Theatre, Glasgow. Etcetera Theatre, London. G8 Meeting 2005, Roxy, Edinburgh. "Superb political satire." - Scotsman. "The content is explosive." - Times. "Compelling stuff. This is what Fringe Theatre should be." - Evening News. "Into the Ether" Broadcast on BBC Radio 4 (Afternoon Play). "Dallmeyer's theme was fascinating and the drama riveting." - The Stage. "Spinning a Yarn" Museum of Scotland, Chamber Street, Edinburgh. "Mister Dodd's Grand Tour." Russell Trust Commission. "A well thought out and deftly executed foray into difficult territory." - Evening News. "The Messiah and the Millennium" Commissioned by the Scottish Arts Council. Presented as a reading, Theosophical Society, Edinburgh. "Potted History" Broadcast on BBC Radio 4 (Afternoon Play). "The play flirts entertainingly with absurdity - magic realism some call it - but remains gripping to the end." - Scotsman. "Earth's Greatest Hits" - Volume 1. Liverpool Playhouse. "Fatua Patois" Commissioned by Tron Theatre, Glasgow. Centrepiece for Glasgow's City of Culture Festival 1990. "The Shelter" Hull Truck Commission. "Double Fantasy" Arches Theatre, Glasgow. Stepping Stones, Edinburgh. Universal Theatre, Melbourne. Unity Theatre, Liverpool. "A clever and sometimes disturbing piece." - Herald. "An impressive work." - Independent. "If the film is half as good as the version Andrew Dallmeyer has written, it deserves its reputation." - Scotsman. "Rudolf Hess - Glasgow to Glasnost" Arches Theatre, Glasgow. Centrepiece for Glasgow's City of Culture Festival 1990. Subsequently produced in Cape Town, South Africa. "A series of interlocking conspiracy notions each vast in its implications." - Scotsman. "A stirring, sometimes moving portrayal of a man exuding the unmistakable stench of evil." - List. "Five Short Plays for Promenade Performance" Arches Theatre, Glasgow. "Brainwaves 2" Broadcast by BBC Television. "A Captive Audience" Commissioned by BBC Television. "A Grand Scam" Heriot-Watt Theatre, Edinburgh. Stepping Stones Theatre, Edinburgh. Trinity Arts Centre London. "The Grand Edinburgh Fire Balloon" Royal Lyceum Theatre, Edinburgh. "Dallmeyer s script is skilfully put together with good one-liners and a series of relevant sub-plots deftly interwoven." - Times. "A wonderful explosion of rhetoric." - Guardian. "Hunchback of Notre Dame" Fringe First Award, Edinburgh Festival. Denmar Warehouse, London. Scottish Tour. U.S. Tour. Script used as basis for music "Esmeralda". Presented St Louis, Missouri, 1996. (Work still in progress.) NOTE: Musical or original still in progress? "Thrill and dangerous swings of mood between tragedy and farce." - Guardian. 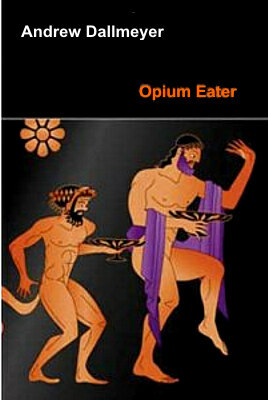 "Opium Eater" Traverse Theatre, Edinburgh. B.A.F.T.A. (Scotland) Award. Best Radio Play 1985. Televised 1986 - Encounters Series (B.B.C. Scotland) starring Paul Rhys and Peter Mullan. Stage production at Gate Theatre, London. Sherman Theatre, Cardiff. Tron Theatre, Glasgow. Revived Netherbow, Edinburgh, 1988. Splinters Productions, Scottish Tour 2002-2003. Published 2005, Capercailjie Books. "A brilliant play." - Scotsman. "A real gem of a play. Great stuff." - Plays and Players. "The Brainchild" Netherbow Theatre, Edinburgh. Science Festival, Edinburgh. "Active and fun" - Scotsman. "Gold" Community shows, Theatre Workshop, Edinburgh. "It bristles with all kinds of amusement and surprises." Scotsman. "Hullabaloo at the Zoo" Hand in Glove Puppet Co, touring Scotland. 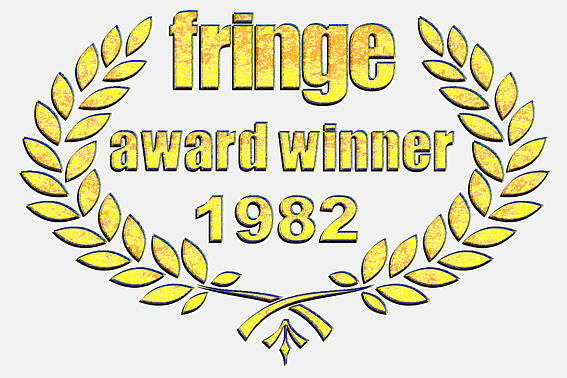 "Hello Dali" Fringe First Award Edinburgh Festival. National Theatre tour (of colleges and universities). Battersea Arts Centre. Netherbow Theatre, Edinburgh. "Sixty brilliant minutes." - Scotsman. Some thirty productions since iyB2, including New York, San Francisco, Berlin, Amsterdam, Paris and more recently Edinburgh and Arundel Festivals 2003, 2004 and 2005. "The Boys in the Backroom" Traverse Theatre, Edinburgh. 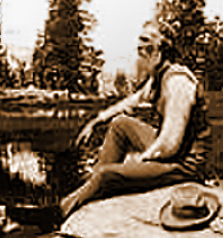 Ten U.S. productions including Echo Stage Company, New York and Actors Company, Los Angeles. Revived 1995 at the R.S.A.M.D., Glasgow. "Humour as sharp as broken glass." - Herald. "Moments of sheer brilliance." - Los Angeles Times." "Metaphysics and Strip" Demarco Gallery, Edinburgh. New End Theatre, Hampstead. Mickery Theatre, Amsterdam. Everyman Theatre, Liverpool U.S. productions in New York and San Francisco Playhouse Theatre (Nightclub), Edinburgh. Traverse Theatre. "It bubbled with new ideas and innovations." - Sunday Telegraph. " Sleazy, funny and completely unsuitable for children." - Financial Times. "Micropower" Edinburgh Festival, Edinburgh Science Festival. I.C.A. London. "Strange Brew" Theatre Workshop Edinburgh. "A Right Christmas Cracker" Athanaeum Theatre, Glasgow. "Yobs and Snobs" Traverse Theatre - Edinburgh Festival. Stoke-on-Trent. "Funny vivacious and refreshingly different. A marvellous way with contrasting linguistic registers." - Scotsman. "Full of originality and humour." - The Stage. 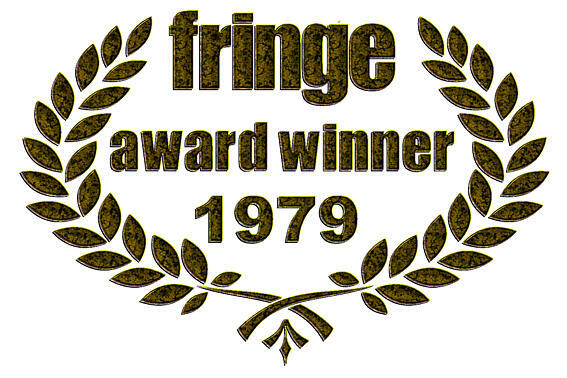 "A Big Treatise in Store"
Fringe First Award, Edinburgh Festival, Demarco Gallery. Third Eye Gallery, Glasgow. I.C.A., London. Union Square Theatre, New York. Other U.S productions in California, New Jersey and Maryland. "Tart an' Trues" Walpole Hall, Edinburgh. "A very good review." - Financial Times. "The Show Must Go On" Heriot-Watt Theatre, Edinburgh. Calton Studios, Edinburgh. "A satirical monument to theatre in all its forrns." - Scotsman. "Enthralling." - The Stage. "Anticipation & Nostalgia Show" Round House, London. "An event of national importance." - The late Ken Campbell. "Juxtaposition Show" Oval House, London. "An Evening of Poetry and Pratfalls" Soho Poly Theatre. "Theatre Lunchtime 2" King's Head, London. "A cleverly written entertainment" - The Stage. "Picnic" Overground Theatre, Kingston, London. "And was there magic or merely 'sheep poo' in the Welsh mountains?" - London Evening News. "Identity Parade" (under the pseudonym Hugh Person) Liverpool Playhouse. "Created total confusion." - Liverpool Echo. "Theatre Lunchtime 1" Little Theatre, London. "Obituary" Liverpool Playhouse. Basement Theatre, London. "An extremely funny look at a crazy, failed actor, who commits suicide." - Guardian. "Brainwaves." - Liverpool Playhouse. "Bold study of urban life." - Telegraph. Leeds Playhouse. Prospect Productions on Tour of U.K. Royal Lyceum Theatre, Edinburgh. Hull Repertory Theatre. Manchester Library Theatre. Overseas productions in Norway and France. "Fascinating dialogue." - Yorkshire Post. "Cool and ironical." - Guardian. "A sharp, conclusive condemnation." - Guardian. James Clerk Maxwell (1831-1879), a hero to Einstein and a pupil at Edinburgh Academy. Nick-named "Dafty" by his fellow pupils, he has visionary dreams of electromagnetism. In the middle of the desert, Pakistan & England battle for cricket supremacy but are the betting syndicates really pulling the strings? A Western with a difference, a young female heroine. "Hello Dali" has received some twenty productions worldwide. 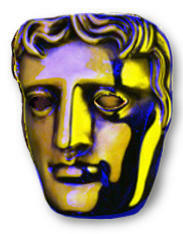 "Avi Nassa ... Bafta award nominated, he is widely experienced in theatre, films, T.V. and radio. Most celebrated is his portrayal of Salvador Dali in Andrew Dallmeyer's acclaimed one man show, "Hello Dali" - Edinburgh festival and world tour."